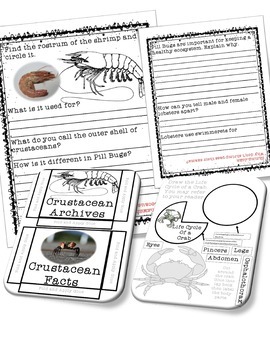 A 60 page long unit on Crustaceans that will have your class learning about these amazing animals. Included in this unit your class will read and answer comprehension questions along with funny jokes to make learning fun. 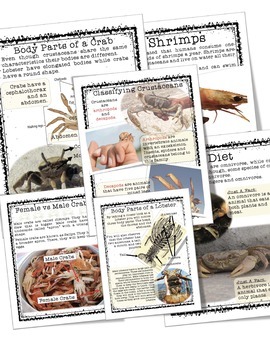 A series of 16 flashcards that have vocabulary words with their definition. You may print them for your class of just for you to display. 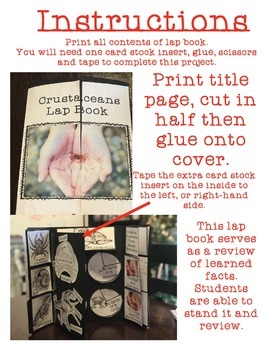 Once your class is done they will display their learning by putting together a lap book. 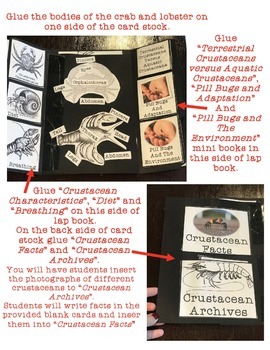 They can use this as an activity to prepare for presentation or showcase learning.